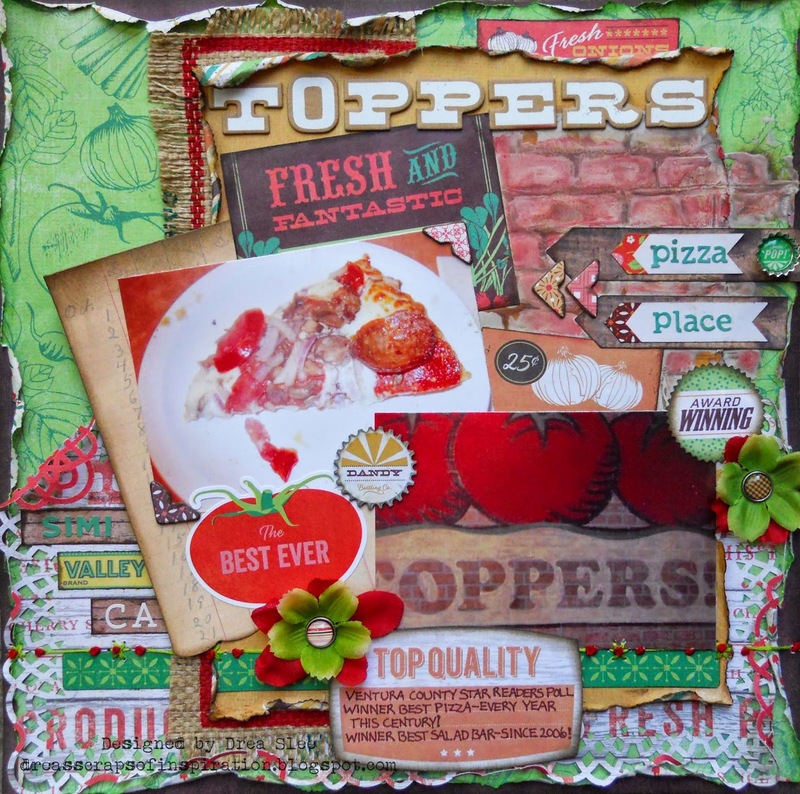 Basic Grey's Herbs and Honey I want it all bundle is such a fun and nostalgic collection! I love all of the old seed packets, food advertisements, and papers that really invoke times past! I knew it was just perfect for these photos that my Mom took from a trip back home of my husband's favorite pizza place. Even though he'll only eat pepperoni, this one with the works is more my style. I made the bricks with a stencil, some gesso, and inks. 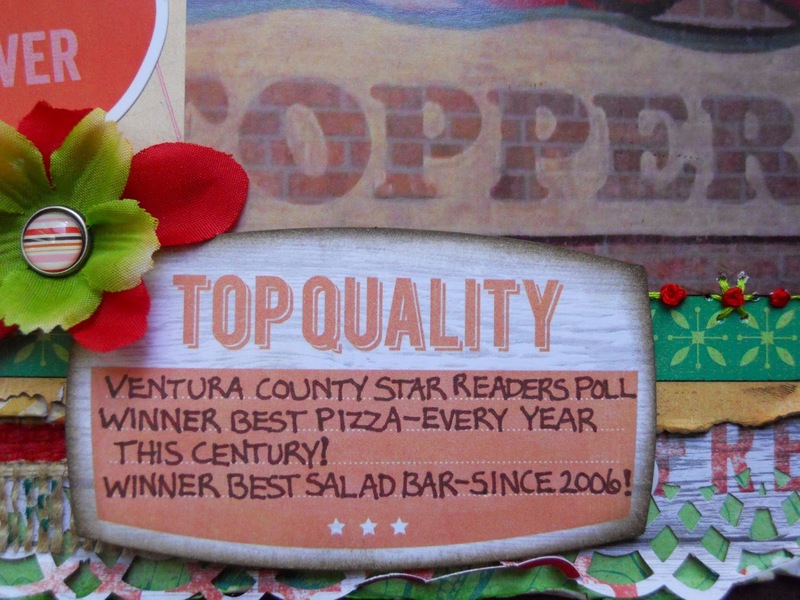 I used mini alpha stickers for pizza, place, Simi, and CA, sticking pizza place onto banner stickers, which were then stuck onto wood stakes from the diecuts and transparencies. 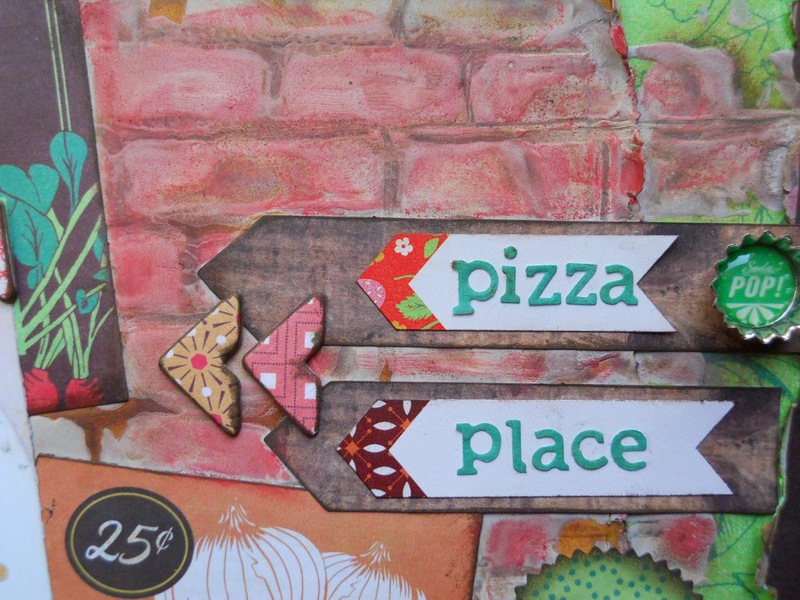 Don't you just love the little soda pop cap, which I added next to pizza? I think that's my favorite piece on here! The flowers are from my stash, and I added brads to them. I also couldn't resist adding the burlap, which is from an old feed bag that I got from my Mom a few years ago. I hand stitched the green border and added red french knots to represent tomatoes. Thanks for looking! Be sure to pick up your bundle at FotoBella!